Thousands of ordinary people are bringing advanced medical technology into their own homes with the purchase of BioMats. Many of them were first introduced to the device by a health professional, such as a family doctor, physiotherapist or an alternative medical practitioner, and are now enjoying the benefits of daily, self-administered treatment in the comfort and convenience of their own homes. Because the BioMat is a US FDA 510k approved Class II Medical Device your insurance company or health benefits provider may cover the costs of your BioMat purchase. BioMats use quantum energetic technology, which combines far infrared rays, negative ion therapy and the superconducting properties of pure amethyst. Because it’s easy to use and approved for home treatments, the BioMat makes an ideal enhancement to your daily routine and lifestyle. Simply adjust the settings, position yourself comfortably on your BioMat, and let the deep-penetrating far infrared rays treat your body. 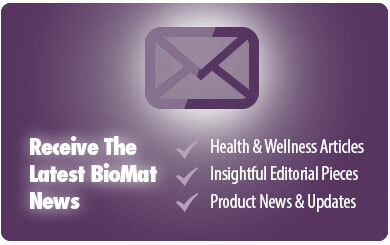 Purchasing your own BioMat makes sense from a financial and a health perspective. By administering your own treatments at home, you support the immune system and save thousands over the long term compared to the cost of paying for massage therapy, acupuncture, chiropractic and other clinical treatments. You also save time and money from not having to travel to get treatments. Since your BioMat is always conveniently on hand, you are more likely to maintain a regular treatment regimen. BioMats are safe for almost everyone (see the safety precautions page for details). You can address muscle stiffness and stress with muscle relaxation and soothing heat in the comfort of your home. 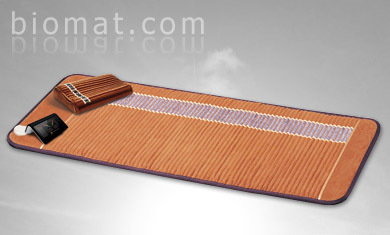 The US FDA’s Medical Device 510K indications for use for the BioMat are for temporary relief of the above listed pains, strains, and spasms and for relaxation of muscles and temporary increase of local circulation where applied. The US FDA’s Medical Device 510K indications for use include relaxation of muscles. Many people have found muscle relaxation encourages states of deep relaxation, and reduces stress and promotes tranquil meditation. The deep-penetrating warmth of the BioMat soothes the body, encouraging relaxation and promoting restful sleep for those with occasional sleeplessness. 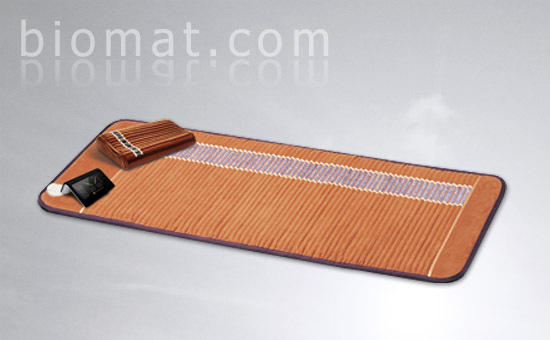 A feeling of calm and contentment, is common after use of the BioMat.